NarayanKripa Sundararajan, PhD in educational psychology, has gleaned as much as possible from her time at Washington State University. Graduating in December, she looks back at her time here with gratitude. Encouraged by her advisor, Dr. Olusola Adesope, Kripa has been actively involved in a number of student organizations and initiatives throughout her time here, including the International Center Coffee Hours, Graduate Students of Education, and the Professional Development Initiative (PDI). She has been awarded professional development and travel grants by the Graduate & Professional Students Association and the Department of Educational Leadership, Sport Studies, and Educational/Counseling Psychology six times over the years. These events helped Kripa, who is originally from India, understand the processes that lead to success. And it has paid off. Kripa has a job waiting for her when she graduates. Kripa was awarded the Charles Allen Master’s Thesis Award in 2015 for research on improving critical thinking skills in the kindergarten classroom, also done during her time at WSU. More recently, Kripa’s dissertation focused on the effect of seductive details – the results of including interesting information that is tangentially connected to the learning content but irrelevant to the learning objective. 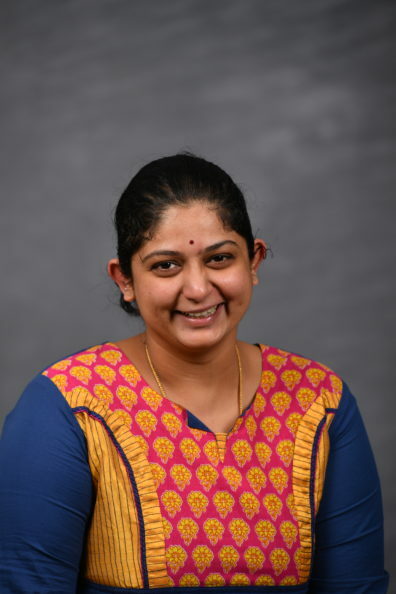 In addition to her dissertation research and being actively involved on campus, Kripa has participated in a number of research projects resulting in three published papers, and six more in various stages of publication. One of the papers she coauthored with Dr. Adesope was among the top 10 most read education research articles in 2017. She also competed in the 2017 Three Minute Thesis competition sharing details on a project that examined the learning benefits of low-stakes testing. The Three Minute Thesis competition is a research communication challenge that dares students to consolidate their research to one PowerPoint slide and one three-minute speech. Kripa’s educational experience provides her with a comparative foundation. Having attended 11 schools, she believes WSU has provided her with important values. Kripa notes that the unique community of support at WSU was crucial to her success, and offers some wisdom to other graduate students.